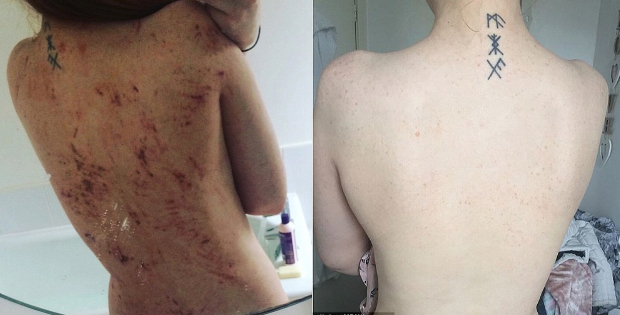 This Is How An Eczema Since Birth Was Cured With Diet Alone! There are countless examples of a vegan diet curing severe eczema cases, but I always believe it’s worth publishing one more, because it may inspire and motivate someone to finally make a health change for the better! 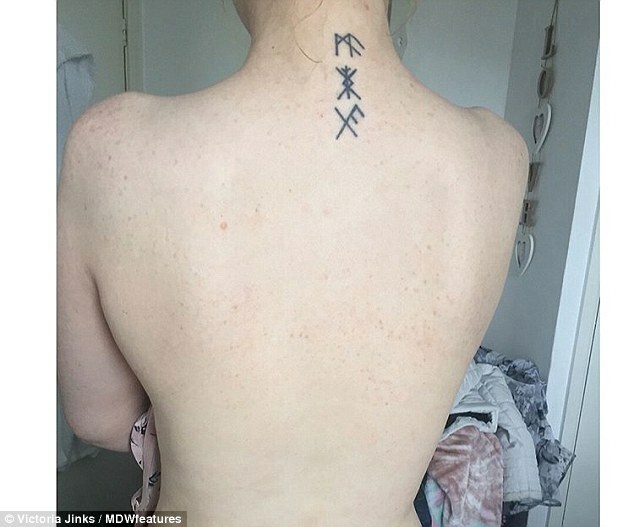 Victoria Jinks, 26, had suffered with severe eczema since she was born and would cover up out of embarrassment during hot summer months. Slathering on greasy ointments that didn’t always work and sometimes made her skin angrier did not help, and some days she had to stay home from work because her skin was so bad it bled. Last year Ms Jinks, from Birmingham, decided to stop eating meat to see if it would help her skin. 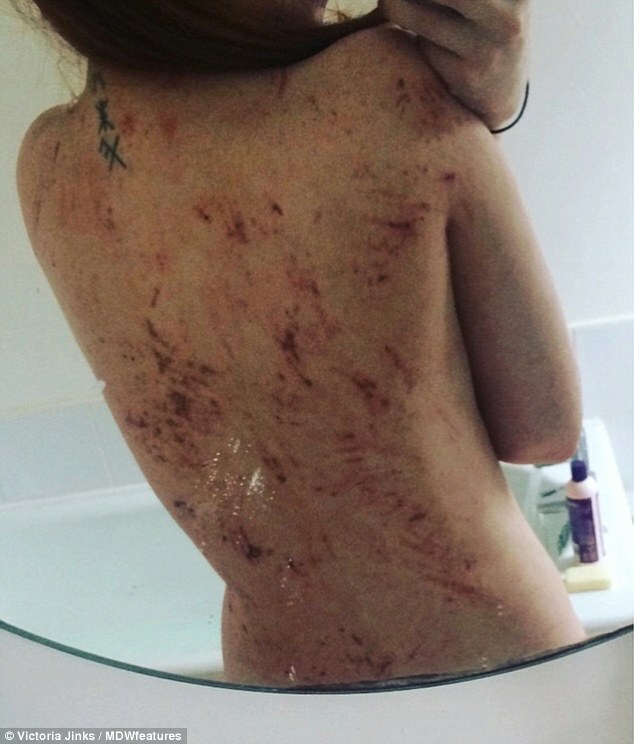 She has now been fully vegan for two months and is already eczema-free for the first time in 10 years, after it cleared up for a short spell when she was 16. She says giving up meat has not only fixed her problem skin but is also better for the environment and she would never turn back. Ms Jinks is sharing her story in the hope it can help others struggling to find a treatment for their eczema. Since she was a child Ms Jinks has struggled with the common skin complaint, which can cause dry, sore and red skin, since she was a child. There were times when Ms Jinks struggled to go to work because her skin would bleed in the creases all over her body. She kept covered up in hot summer weather out of fear of what people would think, and constantly having to listen to people telling her to stop scratching her skin. After years of her sister’s fiancée suggesting a vegan diet might help her eczema, Ms Jinks decided last year to give up meat to see if her skin would improve. 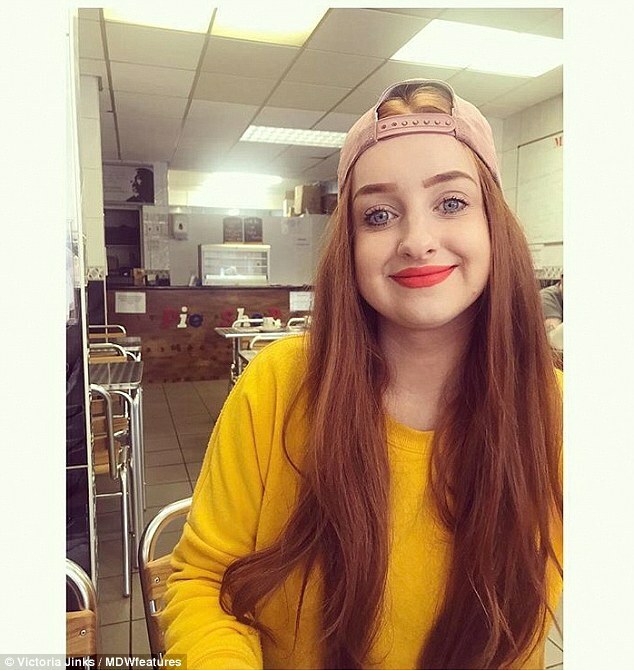 And two months ago, she went totally vegan – cutting out all meat and dairy products – and now her skin is completely eczema free for the first time in 10 years. She credits the lifestyle change for helping her feel ‘normal’. ‘I’ve had eczema since I was born,’ Ms Jinks said. ‘I have always been aware of it. It disappeared for a year or two when I was 16 and when it came back it really upset me. I remember lying down and my mum having to grease my entire body every night. The condition, which affects around 10 per cent of children, usually disappears into adulthood but can occur in people of any age. It is usually a chronic condition which has no cure, but it can be treated with medications, moisturising and avoiding triggers. It affected Ms Jinks’s life by dictating which clothes she could wear. She said: ‘I could never wear nice clothes during summer periods and I would have to wear turtle necks and tights constantly. ‘No matter what the weather was, I was always covered up which made it ten times worse. ‘People would always say “stop scratching!” And that would aggravate me more than the constant itch on my body. ‘It made me very depressed and sometimes I couldn’t even manage to get to work because of the bleeding creases all over my body. ‘For years and years my sister’s vegan fiancé told me to go vegan as it would make my eczema better and he was so right. Ms Jinks says going vegan has been like a miracle cure for her eczema and says that dairy and alcohol were her skin’s biggest triggers. She now wants to share her advice with others. ‘I would also steer clear of steroid creams as they thin your skin and can become addictive due to the fast clear up. Remember it’ll only make it worse on the long run! ‘My skin is completely clear, almost cured. It took around two months to be eczema free but I would never turn back. ‘Just try it! You will feel amazing after the results. For more of Ms Jinks’s story visit her Instagram profile. Are you serious about your health? 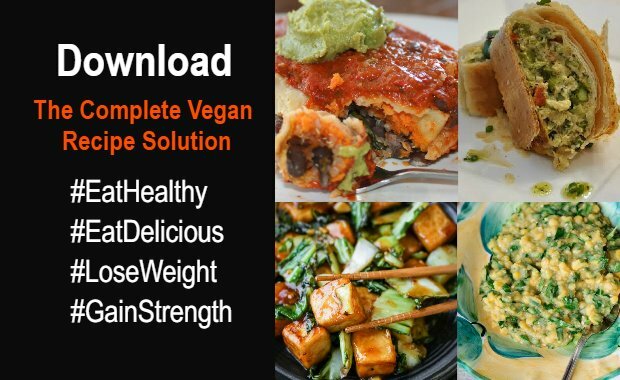 Learn how to eat healthfully and deliciously on a vegan diet with The Complete Vegan Recipe Solution, featuring 145 nutrient-dense plant-based recipes. Perfectly balanced nutrition-wise to nourish you for strength, health, and effortless weight management!